Background/Purpose: Systemic Lupus Erythematosus (SLE) is a chronic autoimmune condition which has one of the highest rates of hospital readmissions in the United States. There is scant data on the factors affecting early readmissions of SLE patients. One study on SLE patients found a 30-day readmission rate of 17%. Our study was undertaken to identify factors and predictors associated with early (thirty-day) hospital readmissions in patients with SLE in our hospital Community Regional Medical Center (CRMC) in Fresno, California. Methods: Our study was a retrospective cohort study, which was approved by the IRB. Using hospital discharge database from CRMC, we identified SLE patients by ICD-9-CM diagnosis code 710.0 who had a hospitalization during timeframe January 2010 to May 2015. We evaluated each hospitalization as a possible index event leading up to a readmission. Early readmission was defined as readmission to the hospital within 30 days of previous hospital discharge date. SLE patients who had met criteria for early readmission comprised the Study Group, while SLE patients without early readmission formed the Control Group. Collected variables include patient demographics, type of insurance, laboratory values, use of immunosuppressive medications, teaching service status, rheumatology consultation and diagnoses upon admission and readmission. Diagnoses data collected were classified and analyzed as either Infection or Non-infection. Descriptive analysis was done, and Chi-square test of association (SPSS software) was used to find significant relationships among several variables. Results: Of the 968 SLE patients identified between Jan. 2010 and May 2015, 539 of them (56%) were hospitalized at least once. Of the 539 patients, 100 (18%) met criteria for the study group with early readmission; 97 closely matched hospitalized patients without early readmission were the control group. All these patients included in the study and control groups met the 1997 Update of the 1982 American College of Rheumatology Revised Criteria for Classification of SLE. Regarding immunosuppressive medications, we found that SLE patients who were on steroids during index hospitalization were less likely to be readmitted within 30 days, p = 0.027. We also found that patients who had ever received Cellcept were likely to have early readmission, p = 0.033. Patients with diagnosis of infection at the index visit did not have a higher likelihood of early readmission, p = 0.298. There was a significant difference in the mean creatinine values between the study group (2.26) and the control group (1.45) p = 0.044. No other significant differences were observed for age, gender, length of stay, platelet count, hemoglobin, or lymphocyte counts. Insurance type was not significantly associated to likelihood of readmission, p = 0.535. However, it is important to note that the large majority of the insurances for both study and control groups were Medicare/Medical. Early readmission was not significantly associated with the other following variables: use of Imuran, Methotrexate, Plaquenil, disposition at discharge (home/nursing home), Rheumatology consultation, or type of service (teaching or nonteaching). Likelihood of early readmission and the use of cyclophosphamide, cyclosporine, tacrolimus, rituximab, belimumab, IVIG and leflunomide could not be analyzed because there were too few data points in some categories. Yazdany J1, Marafino BJ, Dean ML, et al. Thirty-day hospital readmissions in systemic lupus erythematosus: predictors and hospital- and state-level variation. Arthritis Rheumatol. 2014 Oct;66(10):2828-36. Krishan E. Hospitalization and mortality of patients with systemic lupus erythematosus. The Journal of rheumatology. 2006;33(9):1770-4. Ward MM. Avoidable hospitalizations in patients with systemic lupus erythematosus. Arthritis Rheum 2008; 59: 162-8. Disclosure: C. Yuvienco, None; O. Oladimeji, None; A. Legesse, None; P. Mills, None. Yuvienco C, Oladimeji O, Legesse A, Mills P. Frequency and Factors Associated with Thirty Day Hospital Readmissions Among Systemic Lupus Erythematosus Patients in a Community Hospital in the California Central Valley [abstract]. Arthritis Rheumatol. 2016; 68 (suppl 10). 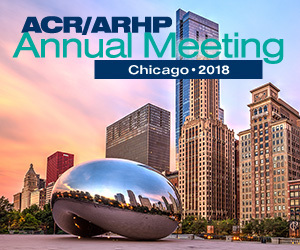 https://acrabstracts.org/abstract/frequency-and-factors-associated-with-thirty-day-hospital-readmissions-among-systemic-lupus-erythematosus-patients-in-a-community-hospital-in-the-california-central-valley/. Accessed April 21, 2019.